Without fanfare, Gov. 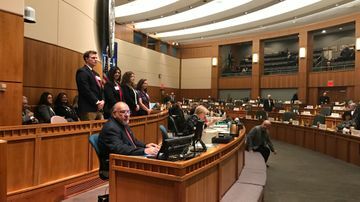 Susana Martinez has signed legislation aimed at putting the lottery scholarship fund back on a solvent track. Wednesday, March 12 was the last day for the Governor to act on bills passed in the 2014 legislative session. The Senate went for more than six hours on Sunday night and got some work done.